How many people in how many places feel like he does? He is bright, educated, skilled, well-liked, and might be an ideal candidate for a senior leadership position…if he stays. But is he being made to feel like an important part of the team? Does anyone realize that he could be giving more? Is he being engaged in an intentional or formalized fashion? Among the many documented advantages of an engaged worker are loyalty and the discretionary effort that they put forth; going the extra mile; the above-and-beyond attitude… giving 110%! How many innovative ideas might that extra 10% yield? How much more productivity? What impact might it have on customers or coworkers? And if he doesn’t stay, the simple replacement costs are not the real issue. He is a potential super-star! He is a known-entity… trustworthy, dependable, low-risk. What are the real (or hidden!) 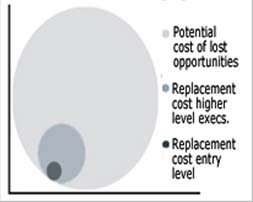 costs associated with disengagement; the costs of not getting 110%… the costs of not only lost workers, but also of lost opportunities? 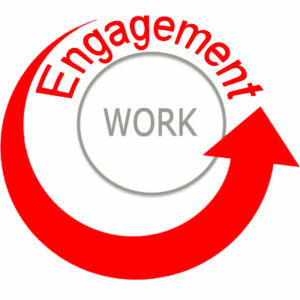 Engagement ROI Calculator: What Can You Gain? Earlier this year we shared information about the Enterprise Engagement Academy and their various certification programs. The Academy has also created a free “Engagement ROI Calculator” that is available to any organization. The tool can be used to track the potential return-on-investment of an engagement initiative, and also provides a report showing the estimated impact of improving employee engagement. Should you like to test this resource, you’ll see it is quick and easy. Simply follow the “five step” links across the top of the page, as each of these steps will enable you to enter relevant data about your organization. Recent posts have focused on “rewards and recognition,” a crucial component of enterprise engagement. Keep it simple: The most cost effective method of all seemed to be the simple thank you note. The notes, if done well, are widely appreciated and cost nothing more than the time and attention to set up a system of information when an individual or team deserved a thank you. Be specific: it is much more effective to recognize a team or a person for a specific result or accomplishment than for generally doing a good job. Be timely: the closer in time the reward or recognition is to the accomplishment being recognized, the more impactful it will be. 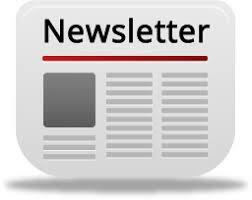 Communicate widely: Publicity helps extend the celebration and communicates widely what is valued by the organization. 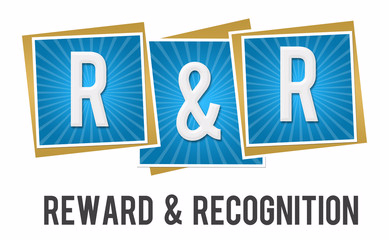 As discussed in our previous two posts, “Rewards & Recognition” programs can vary in a many ways. For example some are very inexpensive to run, and others are costly; some are geared toward recognizing individuals, while others focus on rewarding teams. Similarly, the reasons for implementing a program can differ a great deal, depending upon an organization’s situation and objectives; and as our Partners in Improvement groups discussed, the outcomes — both intended and otherwise — can also vary. Alternatively, some awards are planned in advance, such as an organization that gives one day off to everyone after every 250,000 hours without a lost time accident, or another program that promised a raise to all employees if first pass yield metrics were achieved. Along the same lines, one organization implemented a partially-defined reward: the reward was defined, the criteria were defined, but there would be only one winner and the identity of that winner would remain uncertain until the end. This prize, in this case, was a one year lease on a BMW for the manager with the best results. The success of this program depended on being well-hyped in advance so that every manager improves his or her results in order to try to win. However, the size of the prize being so significant caused some dissatisfaction among some of the managers who didn’t win. Conclusions: both the individual and team concepts are effective. If a “one winner” approach is taken it is best to keep the value of the single award on the lower-end as opposed to awarding one “big” prize such as the above-referenced car lease. The primary advantage of individual recognition is the precision of being able to reward and recognize a person who best exemplifies the behavior that the organization wants to encourage. Consider that, on any team, there are bound to be stronger and weaker contributors. The weaker contributors on a strong team are, perhaps, unfairly recognized for contributions they may not have made. Furthermore, the stronger contributors to a weak team are unfairly under-recognized and may become less motivated. Individual rewards and recognition enable organizations to reward the people they believe most deserve it. However, often the success of an operational or project team as a whole is far more important to an organization’s success than the actions of individuals. Recognizing operational teams as well as temporary teams for their contributions encourages effective teamwork, helping one another to get further faster. It takes a mix of talents and personalities to build an effective team and while a team may have one or two stars, the success may also be due to the down-to-earth individual who keeps the group focused or the individual with the easy personality that defuses tensions and egos in order to keep the group working effectively. Our research into employee engagement suggests that being viewed as an important member of a team is also very motivating. Indeed, in Daniel Pink’s book Drive, The Surprising Truth About What Motivates Us, he describes the pleasure people receive from being part of something bigger: a team, a movement, a purpose. Conclusions: While the benefits associated with individual rewards were recognized, the vast majority of our Partners expressed strong support for the benefits of team rewards and recognition. such as buying a team lunch, giving everyone a day off, and making a contribution to a charity of the person or team’s choice, but these rewards are non-monetary and are not designed to appeal to a person’s acquisitiveness. Rather they emphasize the organization’s appreciation for a person or team’s contribution. the fact, one can expect that all recipients will value the reward because the recipient can spend it however they choose. Ultimately, our Partners agreed upon a list of best practices, which we will share in our next post. We recently attended the “Engagement World” expo in Galveston, Texas, at which all aspects of enterprise engagement were discussed including ISO 10018 and standardized engagement plans. Simply stated, to be truly effective, an engagement plan must contain certain elements, including a method for rewarding and recognizing desired behaviors and outcomes. This fact was spelled-out in a prior post, noting that Rewards & Recognition is an important component of a comprehensive engagement plan. In addition, our Partners in Improvement discussed this fact, and shared some interesting insights regarding various ways of recognizing and rewarding people, and the variation in results. For example, some, like a service award, are very predictable; if you reach an anniversary, you are likely to receive one. But many other recognition programs include an element of surprise when exceptional service is spotted. Some are for teams, and others are for individuals. Many of the rewards and recognition are after the fact, while some are announced and hyped in advance in order to encourage people to try for them. 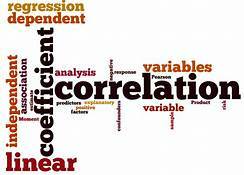 We’ll take a closer look at these differing approaches in our next few posts, and share some surprising data points regarding outcomes and predictability. As you may know, in 2015 the International Organization for Standardization (ISO) issued an update to its widely followed 9001 standards. 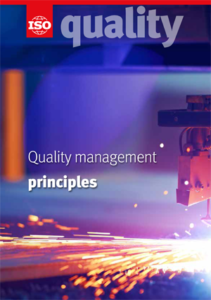 This update was not, at the time, officially part of the 9001 standards, but it included the addition of new Quality Management Principles outlining, according to an Engagement Strategies Media (ESM) article, the fundamental conditions necessary for an organization to sustain high levels of quality and performance. As noted in the article, these principles focus on both “process” and “people/engagement.” As the article goes on to suggest, this balanced focus is clearly necessary to achieve and sustain high levels of quality and performance. ISO 10018 Certification: Engagement Standards! The University of Texas Medical Branch (UTMB) will kick-off the creation of the world’s first academic Enterprise Engagement (EE) Innovation Center at Engagement World, May 7-9 in Galveston, the UTMB’s headquarters city. The Innovation Center is a division of UTMB’s International Center for Enterprise Engagement at TheICEE.org, which was founded last year to manage the first ISO 10018 Quality People Management certification and support the creation of standards in all areas of engagement. “Our mission is to create a formal academic and business discipline and a vibrant marketplace that provides expertise and solutions to help organizations engage all key audiences, customers, patients, distribution partners, employees, vendors and communities in a more efficient way based on a better return-on-investment,” said Dr. Ron McKinley, the Center’s co-founder and President.